Kate McCarthy, founder of Friends of Mount Hood, passed away in 2015 at age 98. 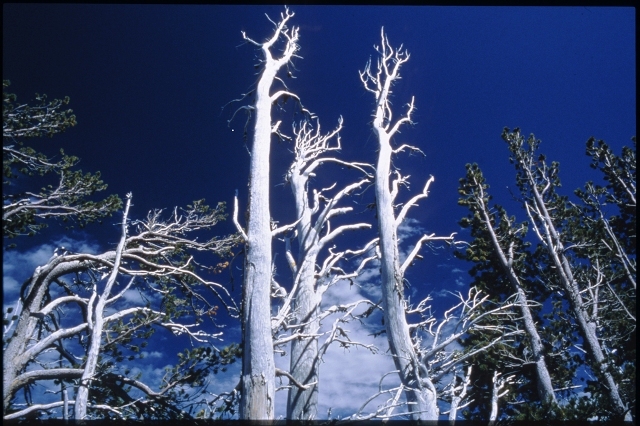 She hiked her beloved mountain into her 90s, and was a zealous advocate for the protection of the mountain. Kate’s passion for the protection of Mount Hood was rooted in her childhood memories. 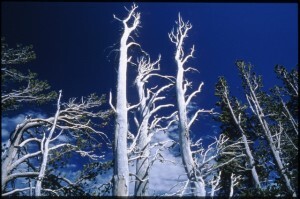 Her father settled on Cooper Spur Road in 1908, and she spent most of her life on the north side of the mountain. 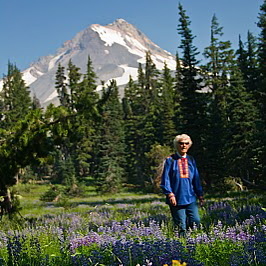 Since 1975, Kate photographed and documented the impacts of man-made changes to the wetlands, hydrology and ecology of Mount Hood and presented her findings in order to motivate others to fight to protect what is left of the mountain’s wild habitat. Kate was a founding board director of Hood River Valley Residents Committee, and was a former member of the Columbia River Gorge Commission. Kate’s photos are being archived with the intent to make them available to the public. Below are a few of the many hundreds she has taken over the years. 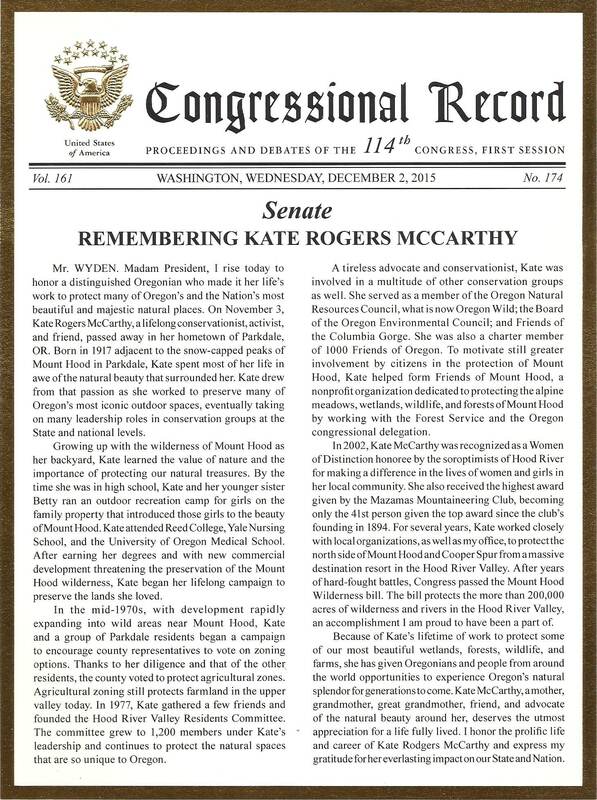 Sen. Ron Wyden of Oregon entered this tribute into the Congressional Record in recognition of the lifetime achievements of Kate McCarthy, founder of FOMH.